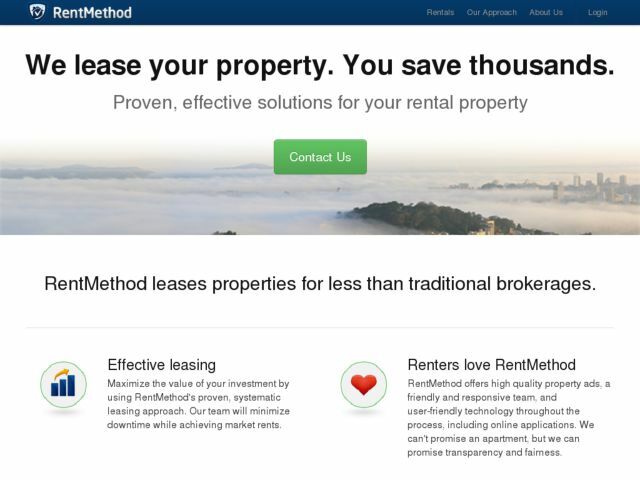 RentMethod offers easy and powerful tenant screening solutions for individual landlords, property managers, and brokers. RentMethod provides credit score, background check, eviction notices, social security verification, criminal check, leasing recommendation, and more. Our technology allows landlords to get all of this valuable information on the tenant by only entering in the tenant’s email address. RentMethod then verifies the tenant’s identity and pulls the data for the landlord. It is more important than ever to rent to credit-worthy tenants. We have partnered with TransUnion, one of the most respected credit bureaus, to provide landlords with the most powerful and accurate tenant screening available. We are so confident about our product that we will refund any service if our customer is not 100% satisfied. We look forward to helping you succeed in rental real estate!